These urban legends are here to provide chills and thrills throughout the Wasteland. Fallout 76 is going to feature a lot more than irradiated individuals wandering around in the wasteland. It's also going to feature a whole lot of weird, urban legend-esque monsters like the Wendigo and the Mothman. 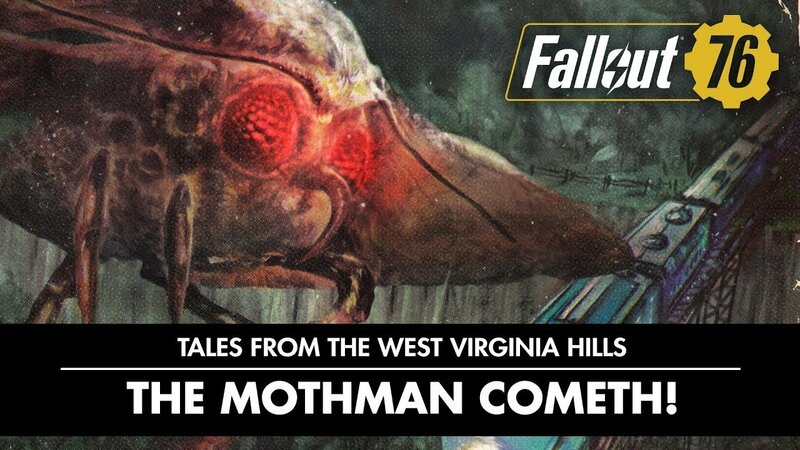 Bethesda has released a series of vignettes surrounding some of the tales about these monsters in Fallout 76, in a series they're referring to as Tales from the West Virginia Hills, complete with classic book covers. If there's anything Bethesda does well, it's emulating classic sci-fi and pulp content, and they've really knocked it out of the park with these videos. Set up like a classic radio play (with audio effects that sound like they were pulled from The Jetsons in some areas), each story is an atmospheric and believable experience that could have come right out of history – think Twilight Zone-esque tales. The Wendigo's tale starts things off, and it's appropriately creepy if you've got a few minutes to spare. What is a Snallygaster? Well, listen to this drama play out and find out. I don't know about you, but the Mothman is the creepiest thing on this list, and that's because I watched The Mothman Prophecies. Chhaaapppsstttiiicckkk. Could it be a dinosaur? Probably not, because it's been lurking around in the woods. The chilling cover for this particular tale really sells the atmosphere. Check out all these tales ahead of Fallout 76's release when it finally debuts on Xbox One, PlayStation 4, and PC on November 14, 2018. The beta is currently going on now, extended due to recent issues players experienced when attempting to play.